If you remember back to the first season of The Sewing Bee you will have fond memories of runner-up and our favourite finalist Lauren. As well as running her gorgeous shop Guthri & Ghani in Birmingham she has gone and joined the world of crafting gurus and written a book. 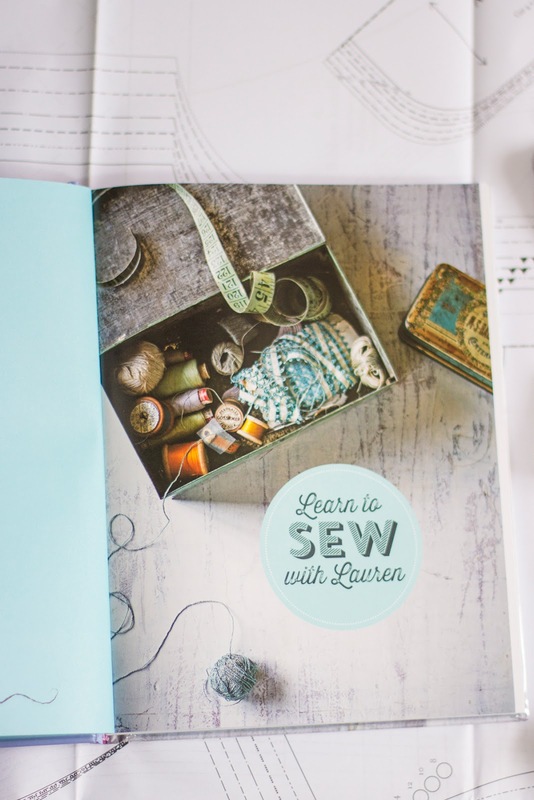 So you can imagine when we were asked to review 'Learn to Sew with Lauren' we jumped at the chance. Sammy: The images are lovely, I thought it was a shame we didn't see more of Lauren as the book goes on but the photographs are beautifully styled. I also loved the illustrations in the tutorials as it takes you through the steps of each project. 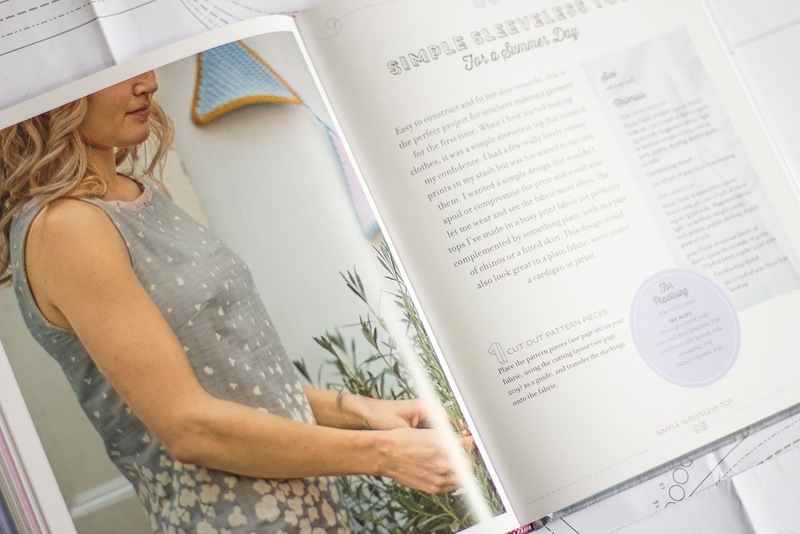 H: I love the full sized patterns, nothing more frustrating than having to go and get patterns scaled up at the copy shop before you start a project. 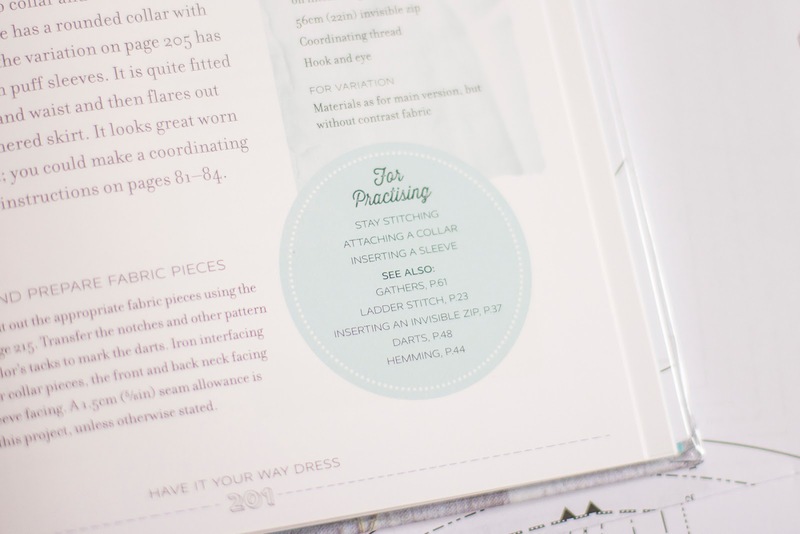 The basic tutorials at the front of the book help you to learn how to use them and has some great tips for using regular dress patterns too. Sammy: The amount of books that don't give detailed instructions of what you will need to create their projects always surprises me, so I was happy to see that Lauren's gave great details of how much fabric to buy as well as all the notions needed for each project and tips for which techniques would be best to practice before hand. Genius! H: There is a nice mix of household and clothes projects, so gives a good variety of things to make for yourself or to give as gifts. Sammy: I enjoyed the 'Other Variation Ideas' at the end of each project giving you inspiration to make the projects over and over. 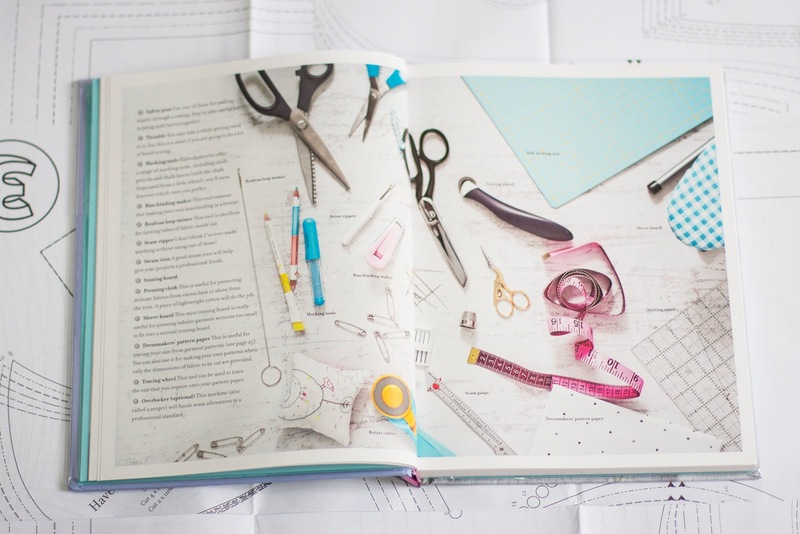 H: There are some good techniques at the front of the book, then onto some lovely projects. It is nice that it gives you a great starting point with simpler projects and then moving onto ones that get more challenging as the book goes on. H: I also loved the 'tips for practising' that Sammy mentioned, I thought it was a great way to encourage people to try out the techniques you need to perfect before diving straight into the main project. 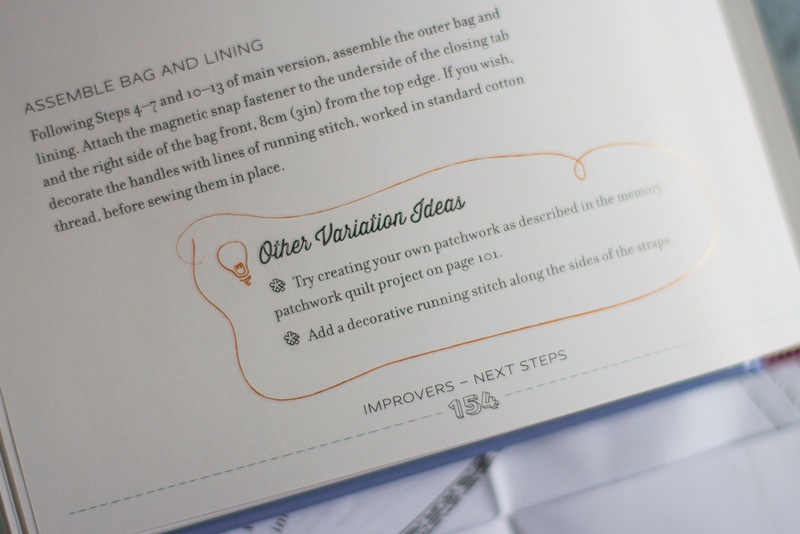 I often think that that is where people who are new to sewing fall down and get frustrated because they try to attempt projects before practising the techniques needed. 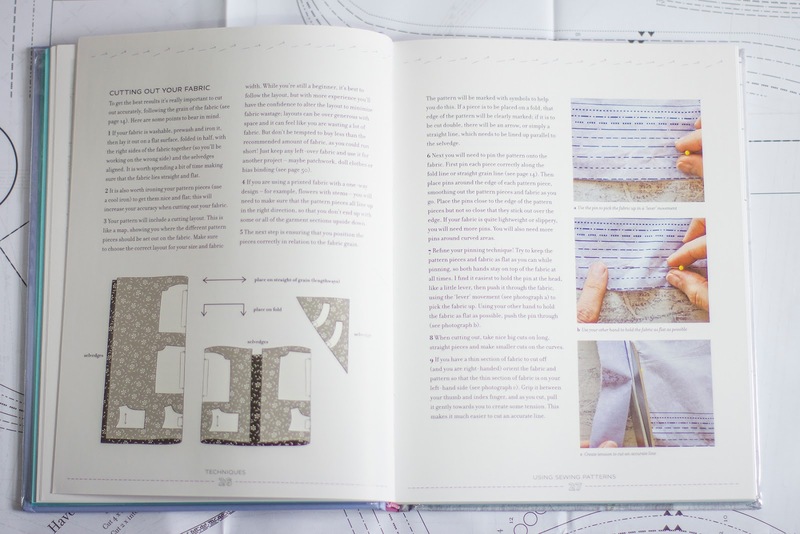 Sammy: I loved that the projects, even the simple ones, used techniques that are practical and could be used to further your sewing education. The shapes and styles are classic so will stand the test of time. Over all we really enjoyed Lauren's take on learning to sew, her projects are classic but with the lovely 'Lauren' twist that we got a glimpse of on the Sewing Bee. We both found the book quite wordy. It is a sit down and plan book, rather than a flick though and pick a project book. That is what we both liked about it though. 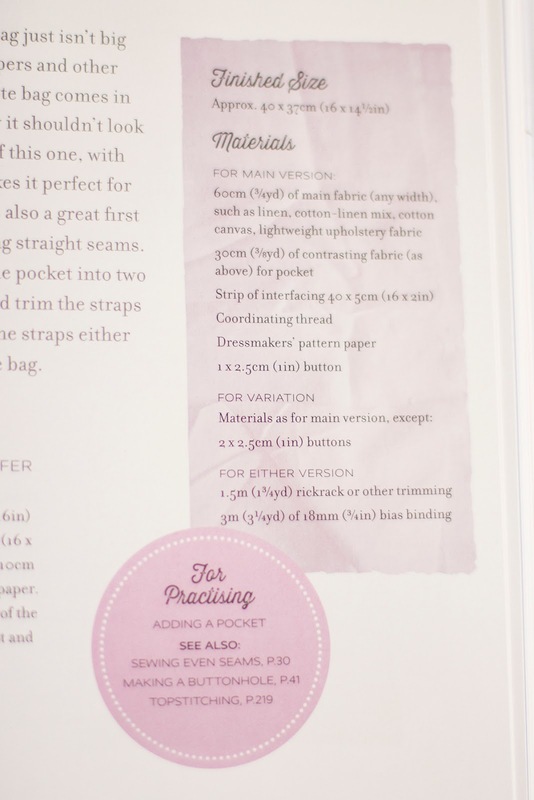 A lot of sewing books skip past the technique and never refer back to them, Lauren encourages you to practice the basic steps you will need before diving right in. 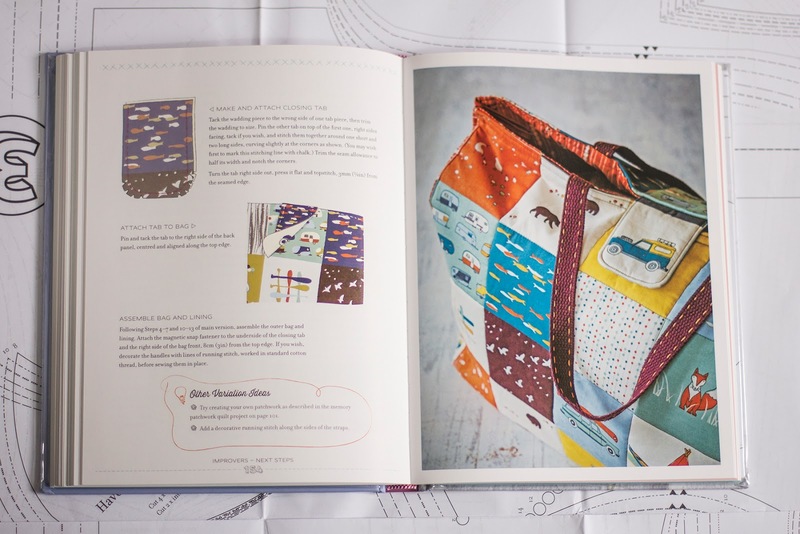 The styling and layout of the book is attractive, the patterns are great quality and stored neatly in plastic folders in the front and back of the book. 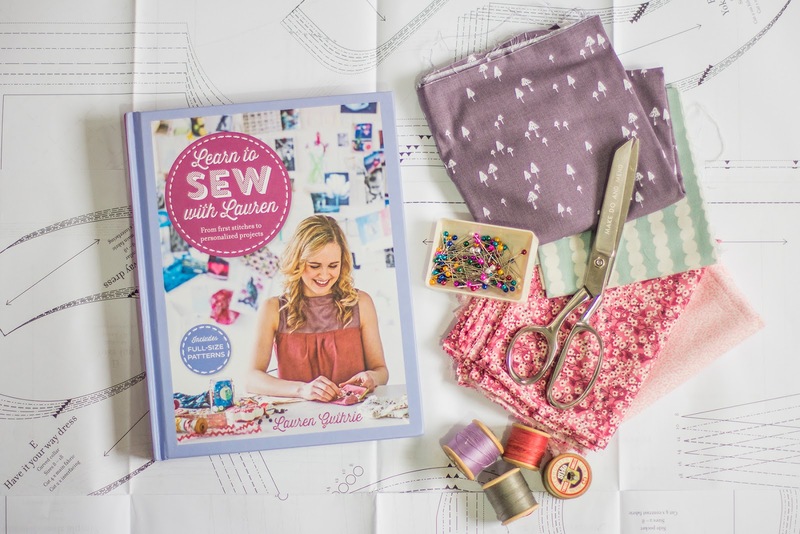 Over all if you are looking to pick up something for a Sewing Bee fan or are a sewing newbie yourself, Lauren's book is a perfect choice. You can get a real incite into what it was like for Lauren writing the book on her blog over at the Guthrie and Ghani site. And if you are in the area on Saturday and fancy picking up a signed copy head over to Lauren's site to find out more about her launch party at her shop Guthrie and Ghani. Have you bought Lauren's book? What do you think of it? Let us know in the comments below. 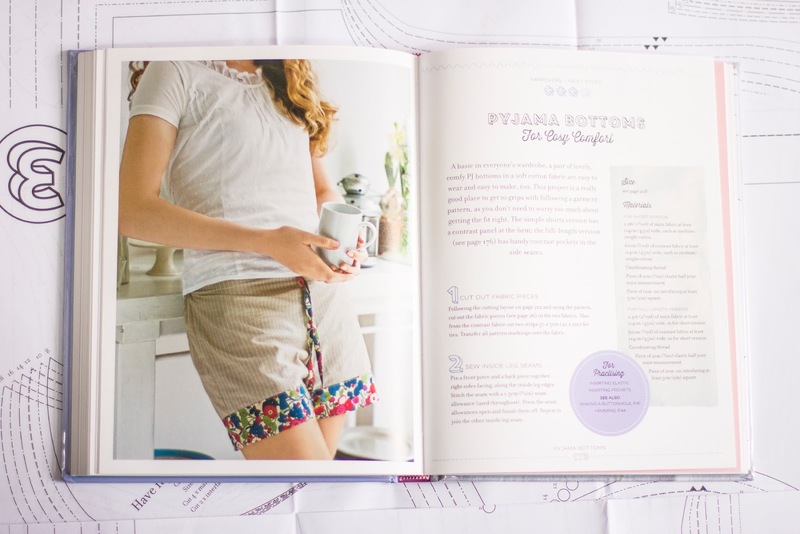 thanks Michelle, we do love a good sewing book!